With this free online course, you will learn how to effectively implement SAP HANA dynamic tiering to scale your SAP HANA system. The course includes demonstrations to highlight key aspects. SAP HANA dynamic tiering is a native Big Data solution for SAP HANA. Dynamic tiering adds smart, disk-based extended storage to your SAP HANA database. Dynamic tiering enhances SAP HANA with large volume, warm data management capabilities. In this course, you’ll learn how to effectively implement SAP HANA dynamic tiering to scale your SAP HANA system. We’ll demonstrate the design and configuration tasks required to extend your SAP HANA system to utilize dynamic tiering, explore the integration at a query processing level to understand the performance advantages of a unified SAP HANA platform, and walk through standard administration tasks to learn how SAP HANA makes it easier to manage aging data. This course uses demonstrations to highlight key aspects of SAP HANA dynamic tiering. "So glad to learn from the product management team directly gave an opportunity to understand what is currently happening such as Azure being validated by SAP on DT." "Thanks Courtney and Robert. Very Professionally conducted sessions , to the point and crisp material to deal with . You guys covered a great deal of material with simplicity in explanation .This was my first experience with openSAP and am glad I choose this Course. You guys are good teachers and should really continue to contribute more in openSAP , it will be beneficial for the SAP community at large"
"Nice course. It helped a lot to me as beginner in SAP"
"I like the course as I am still new to SAP HANA and this gives me a great understanding of data archiving as it is handled in SAP HANA. I wish there are other courses that are available to get a better understanding of SAP HANA for beginners. There are great videos on Youtube but they don't let you test your knowledge of understanding the subject like this one. Thanks for the opportunity." "Dear teachers and OPENSAPTeam, Thank you for the excellent overview course about SAPHANA Dynamic Tiering and its content..It was very organized and explained. Best regards, Nilze Monteiro." Ruediger Karl is a product manager for SAP HANA, focusing on SAP HANA dynamic tiering, core engine, and SAP HANA Big Data topics. Ruediger has been with SAP for 20 years and has held a number of positions as a developer, architect, and product manager. He has a deep knowledge of SAP technology, databases, in-memory computing, and distributed software architecture. 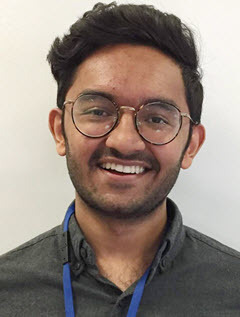 Zaeem Patel is a product management intern on the SAP HANA team, focusing on dynamic tiering and streaming analytics. While studying, he has had internship experience as a software developer and architect, but enjoys the product-driven role of a PM. This course was held from May 15, 2018 through Jun 20, 2018. This course was rated with 4.47 stars in average from 687 votes. Courtney Claussen is a product manager on the SAP HANA team, focusing on SAP HANA dynamic tiering and SAP IQ. Courtney has over 30 years’ experience in the software industry, with a focus in recent years on columnar analytic databases. She was instrumental in helping SAP achieve the Guinness record for World’s Largest Data Warehouse. 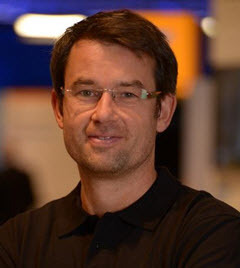 Rob Waywell is a director in product management for SAP HANA, focusing on SAP HANA dynamic tiering and the SAP Streaming Analytics component of SAP HANA. With over 20 years’ experience in the database and data management space, Rob has a deep understanding of the challenges in scaling data management solutions to handle ever-increasing data volumes including IoT scenarios.